Caffeine boost – A hot cup of coffee is full of antioxidants and it can help you stay awake, especially if you’re on patrol duty at your homestead. If you’re going to be walking or traveling for a while, drinking a cup of coffee before you head out will also boost your energy levels. Comforts you during stressful times – When you’re feeling out of sorts, coffee can help you relax and feel like things are going back to “normal.” Simply smelling a fresh pot of coffee can do wonders for your morale. Headache/migraine relief – Caffeine is usually an ingredient in headache/migraine medication so drinking a cup of coffee can also help you feel better. People who drink a lot of coffee often go through withdrawal addiction, the primary symptom of which is a headache. Compost – If you have coffee grounds, you can use them to add acidity to your compost pile, which will help “attract worms and repel pests.” Keep in mind that the ratio of green matter and brown matter must be equal, and coffee is counted as green matter. 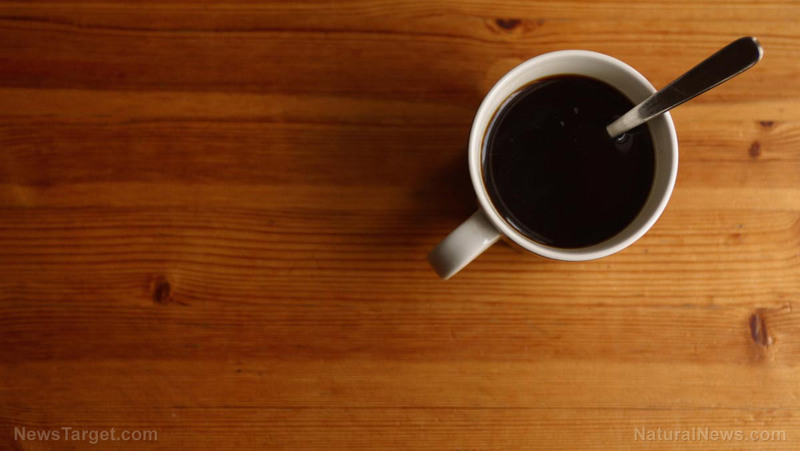 Since coffee is full of nitrogen, it can help your compost cure properly. To boost the phosphorus or potassium content of your compost, add some banana peels. Fertilizer – Coffee grounds contain “two of the three major components of fertilizer: nitrogen and potassium.” Grounds can boost the magnesium content of the fertilizer, which can make your plants grow strong. Some lime and wood ash will also boost the phosphorus and calcium level of the fertilizer. Worm farming – Preppers who live near bodies of water need worms to catch fish and for their compost heap. Worms require “gritty substances” like coffee grounds for their digestion, and a planter full of dirt and grounds will do the trick. Carrot “superfood”– Rubbing carrot seeds in coffee grounds and adding some grounds to the soil when planting the seeds will help you do two things: it will help the carrots grow (the coffee grounds will help the vegetables grow bigger), and the grounds can keep “underground critters” away from the carrots before they’re ready to harvest. Insect repellent for plants – Sprinkle some coffee grounds around your plants to keep harmful insects away, like ants and slugs. Coffee grounds are suitable for “acid-loving plants.” But don’t overdo it with plants that require “more alkaline soil” because if it rains, the grounds could get mixed with the soil. Deodorizer – You can use some coffee grounds to eliminate unpleasant smells in the fridge or freezer. Just put a few cups of coffee grounds in an open container and set it inside for a week or two to counter the odors. If your hands smell like onions or garlic, take some coffee grounds, rub some on your hands (like sand), splash a bit of water on it, and keep rubbing your hands to remove the smell. Natural scouring “pads” – Since coffee grounds are abrasive, you can use them as makeshift scouring pads. Grounds can also be used as standard cleaners since they’re not scratchy. Use grounds to remove the grease and grime from dishes and minimize the chemical products in your homestead. Rejuvenating soap – Coffee grounds can be added to homemade soap. The grounds will help “exfoliate dead skin cells,” and the caffeine in the coffee will also be absorbed via your skin for an extra energy boost. Using homemade soap with coffee grounds can also help get rid of eye bags. If you’re undecided on whether you should store coffee beans or coffee grounds, stick to grounds. Beans will make for tastier coffee, but you can’t be sure that you’ll always have access to a coffee grinder, especially if you suddenly need to be on the move. When stocking up on bulk containers of ground coffee, don’t forget that they can only last for a year or two until they “lose their flavor and become rancid.” To extend the shelf-life of ground coffee, store it in sealed plastic bags with oxygen absorbers. Place the plastic bags in a sealed bucket with more oxygen absorbers to make the coffee grounds last even longer.